A retired accountant becomes the town's fortune-teller in this witty and charming debutNorbert Zelenka has always lived life on the sidelines. It's why at seventy-three years old he's broke and alone except for the company of a Chihuahua. But when "Carlotta's Club"--three strong-willed seniors with plenty of time on their hands--decide to make Norbert their latest project, he reluctantly agrees to their scheme: establishing himself as the town's fortune-teller. Soon his life begins changing in unexpected ways.It turns out that years of observing other people make Norbert an excellent card reader. As Norbert's lonesome world expands with new friendships and a newfound self-confidence, he finally finds himself in a place where he belongs. But disaster looms on the horizon. 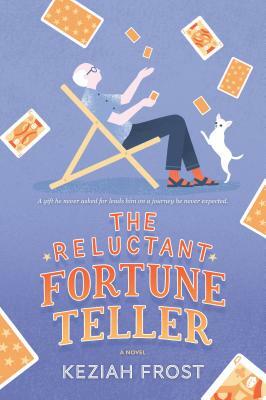 When a troubled young woman goes missing after a bad reading, Norbert must find a strength beyond the cards to bring her home safely.A heartfelt story of coming-of-age late in life, The Reluctant Fortune-Teller is a poignant reminder that we're never too old to learn new tricks.